Windsor’s popular Central Riverfront Festival Plaza, the site of Bluesfest, Festival Epicure, Carrousel by the River and Summerfest is undergoing a major update that will be ready in time for 2011’s festival season. 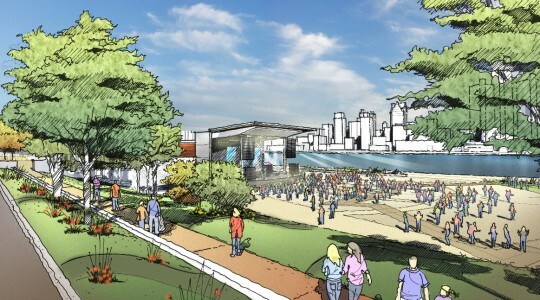 The primary update to the site is the replacement of the existing onion-shaped stage with a locally designed amphitheatre. Other improvements to the plaza include pavement upgrades, “site servicing”, new washrooms and more. Architectural Design Associates designed the project and DeAngelis Construction will be putting shovels in the ground soon.